This daily treatment helps to keep feet soft and prevent dryness. The rich formula contains nourishing, emollient and protective Jojoba oil. It is always a fresh delight thanks to the soft, pleasant-to-apply texture and the Mint and Thyme essential oils. 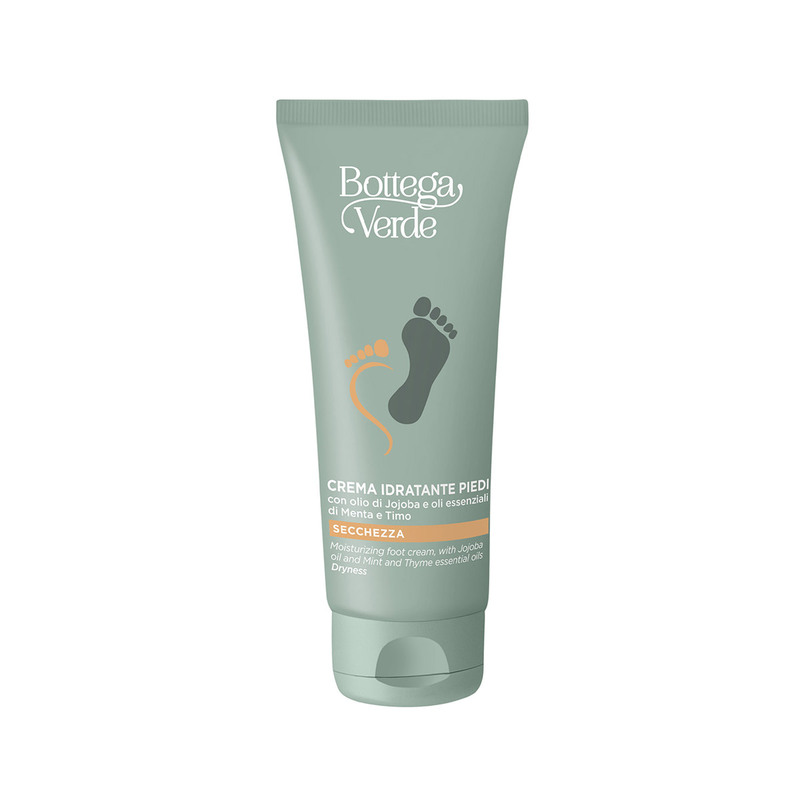 It produces immediate results: your moisturized, nourished feet will instantly feel velvety soft. This daily treatment helps to keep feet soft and prevent dryness. The rich formula contains nourishing and emollient Jojoba oil. It is always a fresh delight to apply thanks to the Mint and Thyme essential oils. Direction for use:How to use it: clean your feet, then rub the cream in until it is fully absorbed. Scent:A fresh, aromatic and balsamic fragrance. Suggestions:For anyone who wants soft feet. Characteristic:Cream enriched with Jojoba oil, Shea butter, Sweet almond oil, Lipex L'sens, Honey, and Mint and Thyme essential oils. 0% parabens, formaldehyde releasers and mineral oils.